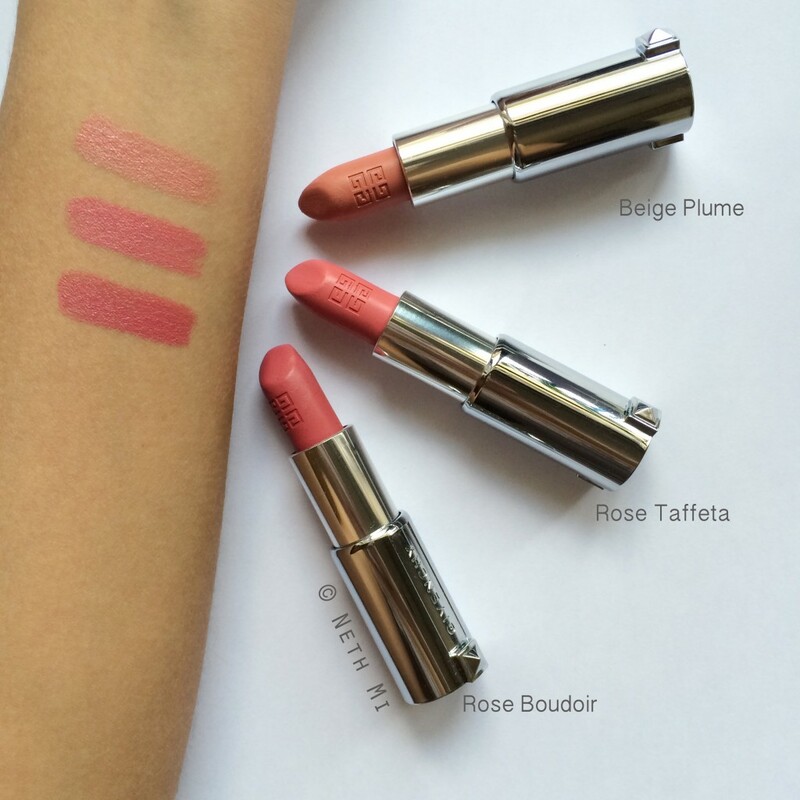 This trio cost me around $88.00, which is a pretty big amount for three lipsticks, but I’ve been eyeing these lipsticks every time I flew, so I thought I’d give it a try this time. 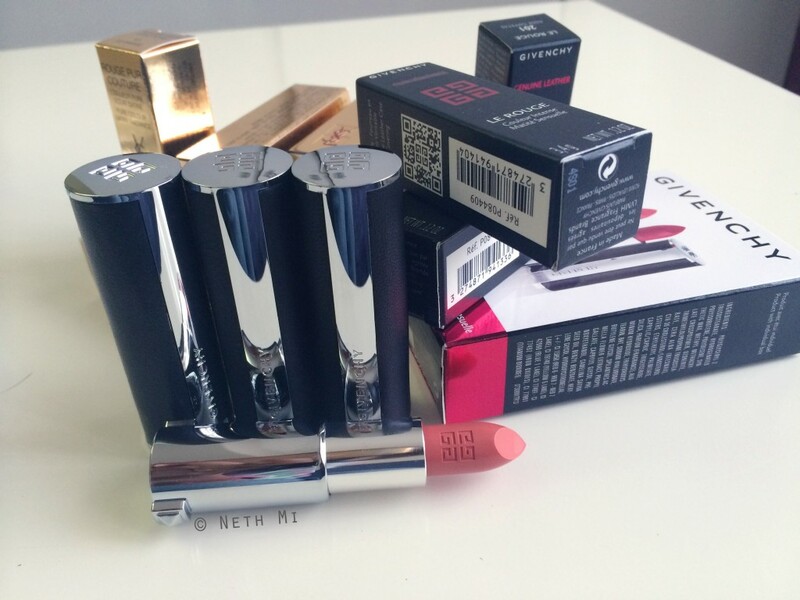 These lipsticks come in black leather & silver cases that weigh quite a bit and look & feel luxurious… They’re heavily scented and the Givenchy emblem is engraved in each lipstick… They’re soooooo pretty…. 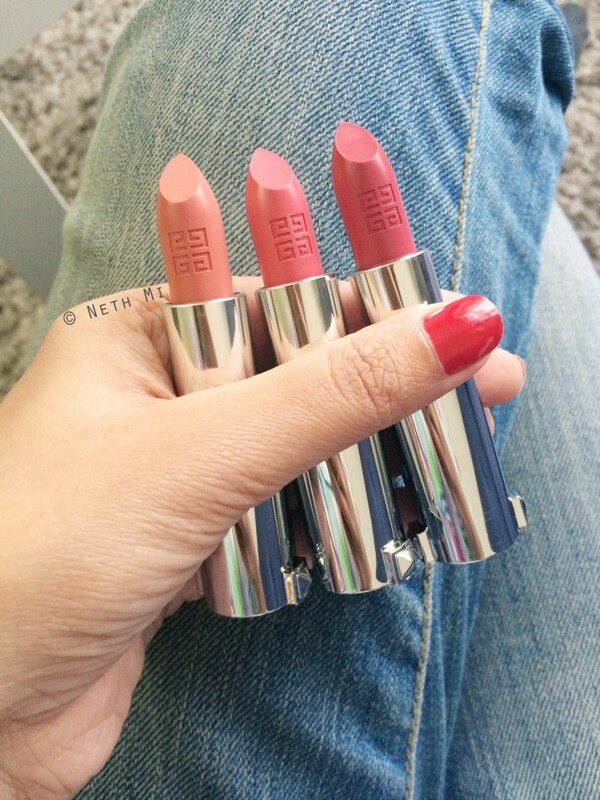 They are cool-toned matte shades, and all three of them are holly molly creamy! For creamy lipstick fans, this could be heaven 🙂 But on the downside, they tend to break easily 😦 (all 3 lipstick bullets are broken by now) even as I tried to swatch them they started bending! If you live in the tropics like me, DO NOT FORGET to keep them in a refrigerator! This did not happen when I was in Istanbul last December, so these are definitely not weather-proofed! Pigmentation: 4.5/5 good pigmentation. They lasted about 3-4hours on me. 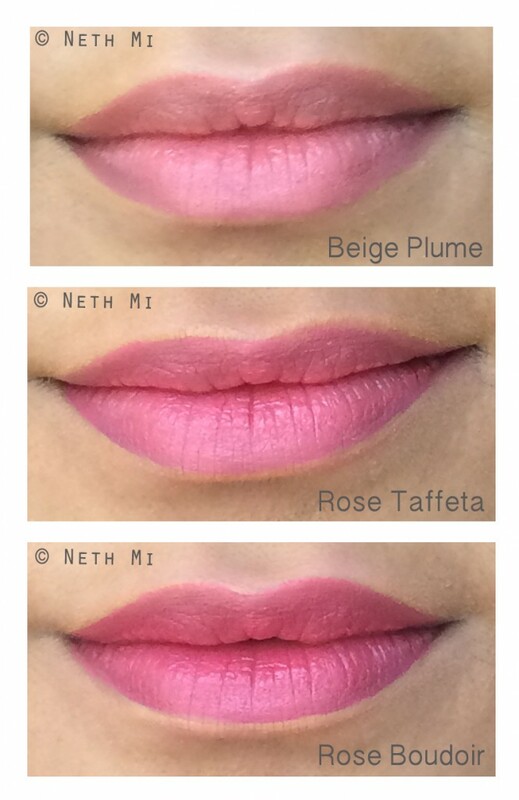 Beige Plume and Rose Taffeta didn’t leave any stains on the lips. Next Post Trend Alert!!! Foliage prints for this Spring!